Sustainable paper packaging tape. Unbleached smooth paper backing and solvent free adhesive. 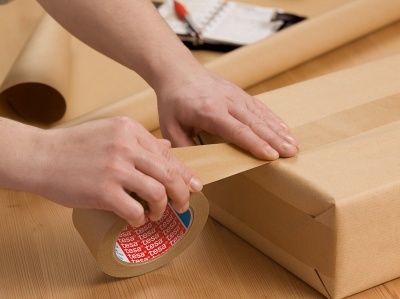 Paper packaging tape is the ecologically friendly way to package. It's suitable for sealing of cartons, boxes, envelopes or gifts and is great for recycling. It's unbleached smooth paper backing and solvent free adhesive make it environmentally friendly. The core of each roll is made from 100% recycled cardboard. The tape itself consists of unbleached paper that contains 80% recycled fibres. 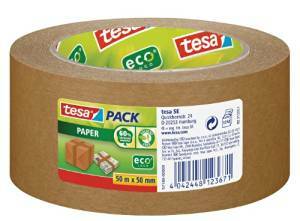 Tesa paper packaging tape is highly tear resistant but still tearable by hand.